Dawnstar is one of our last PayDay daughters, and is line bred on Sonara one of our most influential foundation does. She freshened with a beautiful mammary @ 18 months and just needs some time to mature. 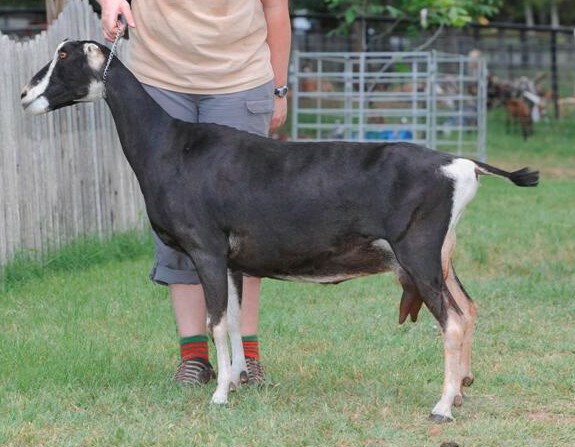 Sonara was Best Udder at the 2009 Fort Worth Stock Show, and Dawn's dam, Wonder was Best Doe in Show and Best Udder at the 2014 Fort Worth Stock Show. Here's hoping she follows in the family tradition. She has been bred to SOlan for 2016 kids.